Team determiNation is NOT just any team… these coaches have become my FAMILY! We work TOGETHER, we train together, and we grow from each others strengths! When you join our team… you join our FAMILY! WHY BECOME A BEACHBODY COACH WITH team determiNation? I truly think of our team as FAMILY! We are among the fastest growing teams in Beachbody, adding more than 42 coaches last month alone. The best part about this is we have developed an easy, duplicatable system that can get you similar results. Coaches who have followed our system went from making nothing to earning $900, $1200, $1500 or even more in their first three months as a coach! We have coaches QUITTING their full time jobs and using income from Beachbody Coaching to replacing their full-time income in a little over a year. As a Star Diamond Coach ranked in the top .01% of the Beachbody Network, I have grew my business from a hobby to a full time income in less than 3 years. I now am able to continue to stay home and homeschool my 3 small children, stay healthy, and earn extra income to do the things we want to do as a family but were limited to because of finances. I get to socialize and help other people from the comfort of my own home. 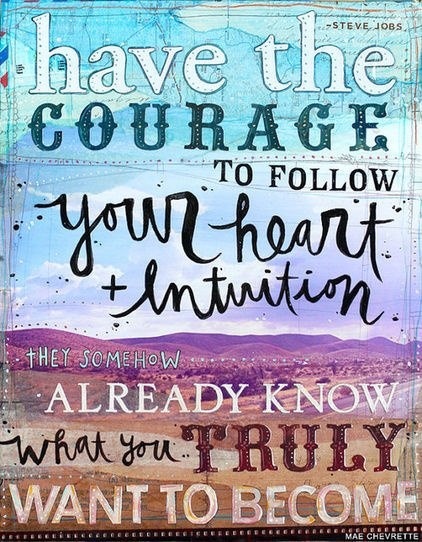 Are you beginning to wonder what all of this Beachbody Coach buzz is all about? Well, if so then this is the place to be. Below I am going to outline what a beachbody coach is and why you might be the right fit to become part of team determiNation. Team determiNation is a group of motivated individuals who provide support, motivation and encouragement to people on a daily basis to help them achieve the health and fitness goals. I provide free coaching advice and support to people who are enrolled as my customer or coach with a free Team Beachbody account. As a coach, my job is to help you set realistic health and fitness goals. Then, together we create an action plan. I never focus on the big picture, instead we break it down into manageable smaller chunks. We work to overcome things like emotional connections to food, traveling, meal planning, healthy snacks, and just plain motivation. Everything that we need to be successful is right here. Challenge groups are the best way to get to know customers and to help them on a daily basis. A challenge group is all done through facebook. 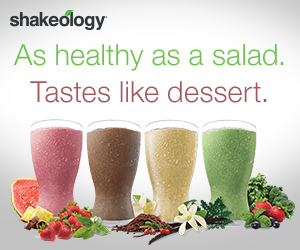 Each participant purchases a Beachbody fitness program and commits to drinking Shakeology for at least one meal a day. 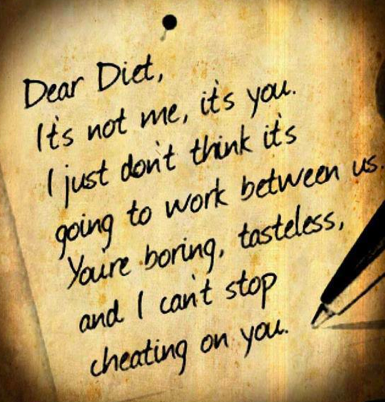 In return, I help you with meal planning, grocery shopping, planning and staying on track. The small group environment really works! Now that my business is growing I also help my coaches that have joined my team to duplicate my success. I do this through weekly mentoring calls, our coach closed facebook support group, and events all over the United States. There is no greater feeling in the world than seeing your coaches succeed!!! Being a Beachbody Coach ISN’T a Get Rich Quick Scheme. 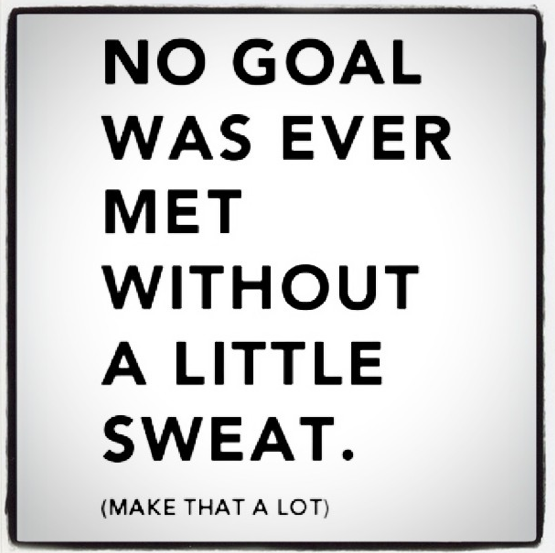 It is hard work and you get out the effort you put in. So if you aren’t willing to put in the time and effort you aren’t going to succeed. All my coaches can tell you I live by the MOTTO “Be Here in A YEAR”… that means give this business 100% for a year and you will be AMAZED! Are you ready to change your life and the lives of countless others? What are you waiting for? There is a one time fee of $40 to become a Beachbody coach. This is not a yearly or reoccurring fee. You can also get that $40 fee waived if you sign up with a challenge pack or you or your spouse is active military then that fee is waived! (I can explain those options in more depth as well). There is a monthly website fee of $15. 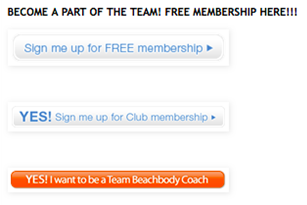 Beachbody gives you three canned websites where you can do some minor personalization. 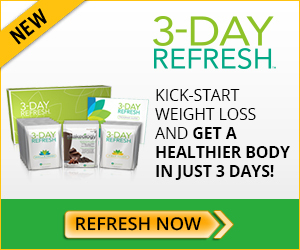 One site is a Beachbody Coach site ,one is a specialized Shakeology site (only available for sale through the Team Beachbody Coach network) and the third is your Ultimate Reset Site. I have decided to create my own website and blog to share my experiences but it is not required. 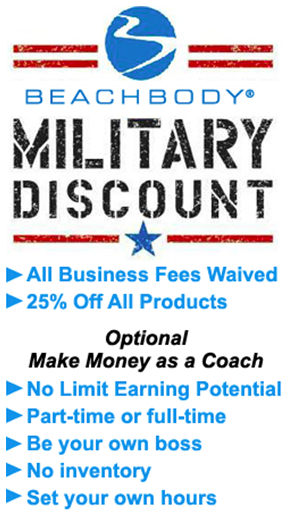 You receive a 25% commission on anything somebody buys from Beachbody using one of your links. Somebody purchases a copy of P90X, you get a check for $29.96. You can, if you choose to, create a team of coaches as well. You can create a business based off of a team of people who are passionate about the same things that you are. I tend to attract women who are passionate about health and fitness,specifically clean eating stay at home momma’s. But I also have some individuals who want to grow a business and create a full time income! The saying you attract who you are is completely true! 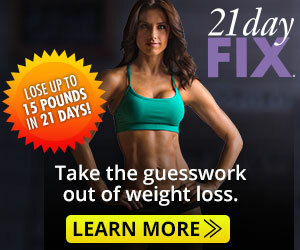 You receive a 25% discount on all Beachbody products including merchandise. If you’re using supplements, just the discount savings alone on let’s say P90x Protein Bars and P90X recovery drink covers the $15 monthly website fee. You get paid on a weekly basis, every Thursday morning! No inventory to carry, Beachbody takes care of everything. Access to an entire team of experts on health and fitness. Access to marketing materials and guidance on how to build your business. Want to know more about team determiNation and exactly what you are going to get if you sign up with me?? Check out this video. You succeed at being a Beachbody Coach by putting the needs of others first. By reaching out to people and offering your support and guidance. To succeed you follow the structure of inviting people to a challenge group, enrolling them into the group, helping them succeed and then eventually people become coaches as well! You succeed by leading by example, inspiring others to get into shape and by being motivated, driven and passionate about what you do! Of course, you don’t have to know all the answers at first. You just have to be motivated to get started!!! WHO IS THE COMPANY BEHIND THE COACH BUISNESS OPPORTUNITY? Beachbody is a successful 10-year-old, $250+ million corporation based in Southern California. 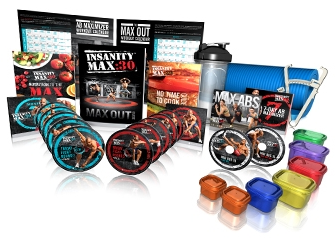 They create and sell the nation’s most popular in-home fitness and weight-loss products—high-quality, well-manufactured DVD workout programs, gear, and nutritional supplements that have been proven to work. When you become a Beachbody Coach, you’re teaming up with a solid, stable company and a best-selling brand. You get paid weekly commissions when people buy Beachbody products and Team Beachbody Club memberships through your personal website. You can also earn cash bonuses based on your team’s sales. It only costs $39.99 to start a Beachbody business. That includes your first month’s Business Services Fees and your Coach Business Kit, which comes with everything you need to begin earning income. 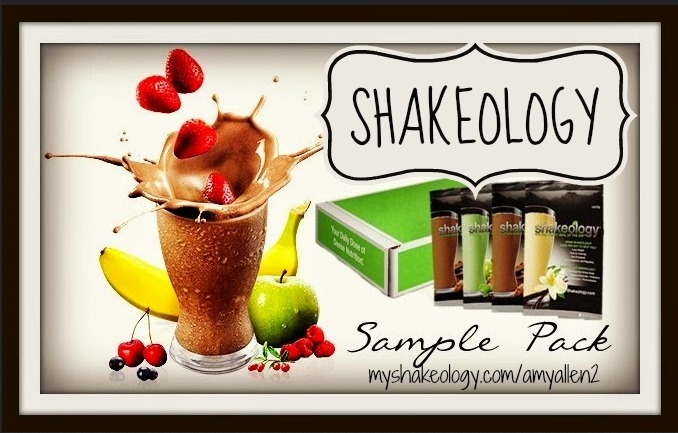 Or, what I recommend, you can choose to purchase a challenge pack in which you get a fitness program of your choice, 30 day supply of Shakeology, free shipping and a 30 day trial of the club membership and the coach fee is waived! 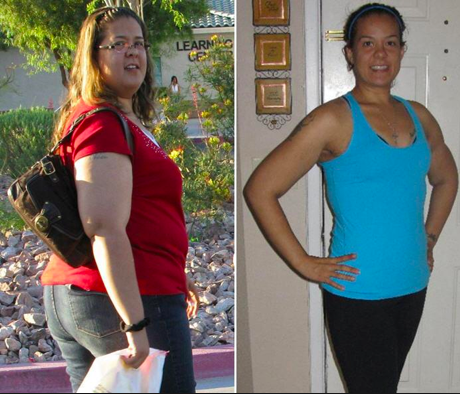 No, you don’t need to be a fitness or weight-loss expert to become a Beachbody Coach. You just need to be ready to commit to changing your life and inspiring others to do the same. It is important to be a product of the product! Once you become a coach on team determiNation, you will be added to our closed facebook team page. There you will receive updates, information, tips and tools to help you grow your business. This is your place to check in each day and get answers to your questions. You also will be given the option to be a part of my coach mentorship program. This is a 28 day group that teaches you everything you need to know about running a challenge group – how to find people to invite AND how to run a successful challenge group. You will be given all the tools that helped me to be successful so that you do not have to re-invent the wheel. You will not have to figure it out on your own. You do not run your first challenge group by yourself. Instead you are an assistant coach in your first group. I run the challenge but you get to invite 3-5 customers into the group! Unlike marketing programs that require you to buy a lot of products in order to participate, the Coach Opportunity has no inventory requirements. If you do want to purchase products for your own use or resale, you’ll get them at a significant discount. I encourage everyone to be a product of the product. I truly believe that the best coaches are the ones that are actively working out and are drinking Shakeology. It’s very hard to speak from experience and guide other people if you yourself have never tried it. Beachbody spends millions of dollars every week advertising our home fitness programs on the major TV stations and cable networks. (You’ve probably seen our famous infomercials for programs such as P90X, Turbo Jam, and Hip Hop Abs, as well as our magazine and Internet ads.) Millions of people already know about Beachbody, and every time we run an infomercial, we get thousands of new customers. We want those customers to shop through your store, so you get the commission on those sales! As Beachbody Coach, you receive a 25% discount on all Beachbody products available in the Team Beachbody store. You don’t have to start coaching alone! It is my job to provide you with the tools to succeed! I’m currently accepting applications for individuals who want to grow a successful Beachbody Business. Complete the form HERE or visit www.jointeamdetermination.com and I will set up a time to chat and discuss the options for my next mentorship group. Do you struggle with debt? Have you ever had the feeling of not being able to afford formula for your baby? If you haven’t, let me just say that it was a pretty low moment for us. Back then, most of our arguments happened over money, debt and the fact that I didn’t always handle money the greatest. To be honest, that’s an area I’m still working on. When Matt would get promoted or when our income increased, we increased our lifestyle right along with it. The battle of never ending stress just kept coming and then it three years ago, my battle with cancer. I knew things had to change. I didn’t know at the time what this disease meant for my family but I knew I had to fight to get better. I wanted be there to raise my kids. I wanted to be around to take care of my family. I saw a friend posting about Shakeology. The price tag was STEEP. Was it in our budget? Definitely not… but I knew I needed to sacrifice somewhere to invest in my health. If you’ve never thought about dying, never thought you might not be there to watch your kids grow up… It’s scary. And somewhere inside I thought this was the answer.I became a coach to save 25% off my monthly dose of super-foods… because every penny counts right? I’m not sure why as moms we always put ourselves last but this was ONE moment I couldn’t afford to do that. Three years ago that ONE decision made a huge impact on not just improving my health but also on our family’s financial future. This Thursday, I was able to walk into the bank, hand them a $13,000 dollar check and PAY OFF our van, all because I’ve helped other people through their own struggles. I never thought in my wildest dreams I would be a six figure earner with Beachbody, let alone building up a savings account to help attack our debt. Are we out of debt? Not yet. However I can see a light at the end of the tunnel doing something that I love. I see a future that is debt free all while Matt still remains the amazing provider that he is serving our country. I almost didn’t share this post. I never want to come across as bragging but when I shared it privately with my team, I had an out pour of “You are going to share this, RIGHT?!? !” I prayed about my intentions even before sharing and I know in my heart it’s to show there is hope within struggles. I hope if you are struggling in ANY area of your life, know that there IS always a solution somewhere. 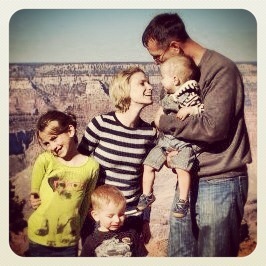 I decided just SIX weeks ago to save my next SIX paychecks and whatever it would be would go towards our van. 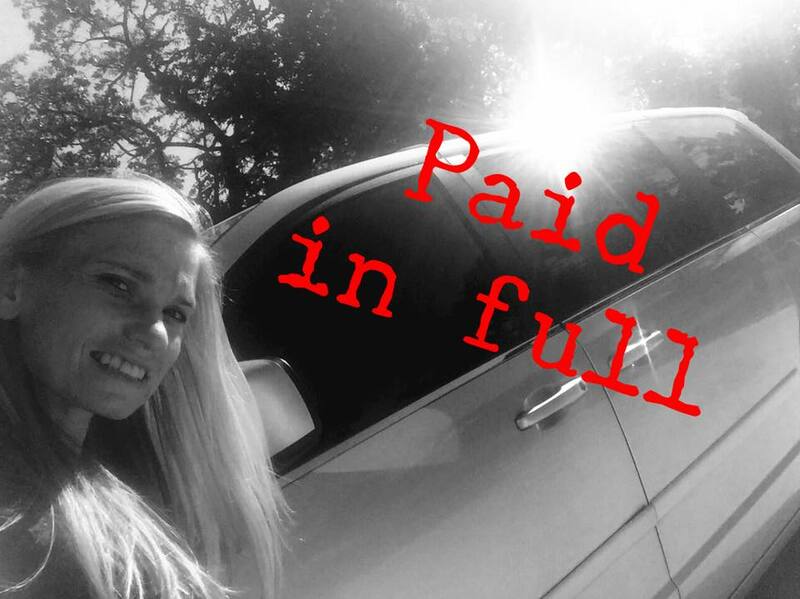 I was floored to see I have MORE than I needed to say goodbye to that debt forever! What I get to do while still homeschooling our children is the bridge between living a comfortable life with some debt that 80% of Americans currently have and true freedom to realize it won’t always be that way. From one decision I made just 3 years ago… which was simply putting myself first so I could be the best wife, mother, teacher and mentor to others. You don’t have to be in debt. You CAN put yourself first. It just starts with a decision that you are worth it. The beginning of a new year is typically the time every one makes New Year’s resolutions. You are going to eat healthy. You are going to work out. 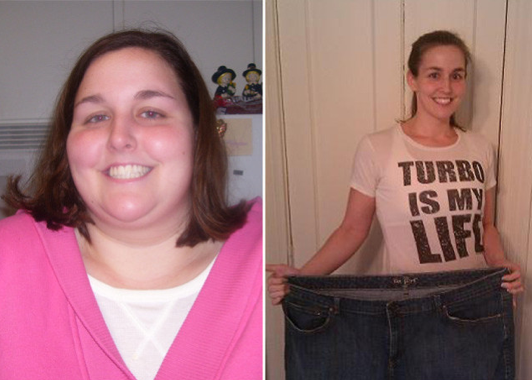 And you are DEFINITELY going to lose that last 10 pounds. So you buy a gym membership (and of course the gym is busy in January!!). You take your turn on the treadmill and one hour later, you’ve burned 30 calories. I’m not anti gym – as a homeschool mama, I love my membership to the YMCA since it also comes with free childcare and is the perfect escape when I need a break from the chaos that is my life… but when it comes to getting a real workout in, I can do that at home in ½ the time, without the commute and since I am a busy mom with three kids, running a business from home, I need to save all the time I can. But now January is almost over. How is the gym working out for you? Are you able to make it there 3-5 days a week? Have you seen results? Or are you slowing losing your steam without results or support to keep you going? 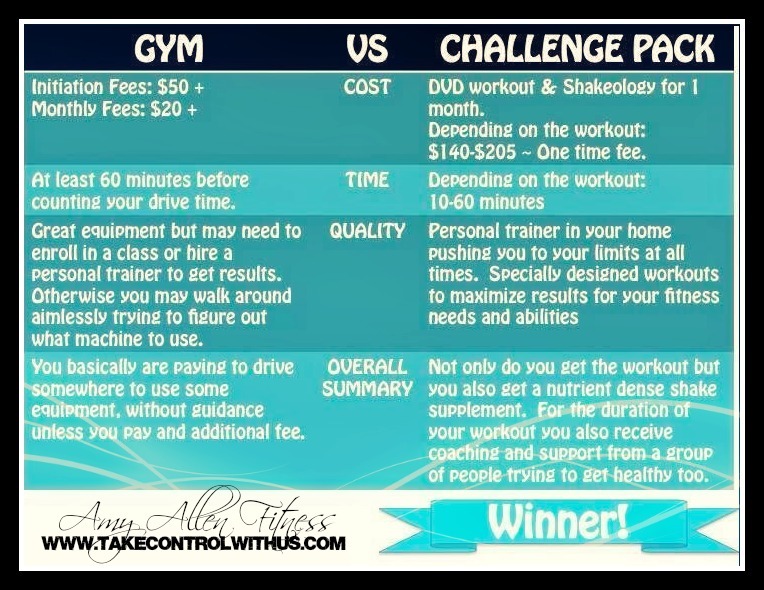 What is a Beachbody Challenge Group? 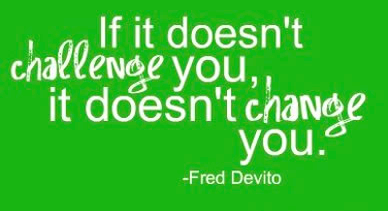 A challenge group is a safe place where you can get support and encouragement on your weight loss journey from other people going through the same journey!! It’s an online support group made up of other people with fitness goals similar to your own, and it’s all done through a closed Facebook group – only those in it can see what is posted there. As your coach, I am there to help you design a program to meet your health and fitness needs using one of our programs like P90X, Insanity, T25 or the 21 Day Fix. During the group, you will follow nutrition guidelines that come with your program along with adding in Shakeology as a daily meal replacement. It’s not a protein shake or a diet drink, it’s a nutrition supplement full of vitamins, minerals, pre and probiotics and superfoods. It boosts your energy, cuts your cravings, helps keep you full longer, and has as many vegetables in it as six salads. It is a powerful accelerator for weight loss and also fights disease. I will help you create a meal plan, give you recipes, snack ideas, motivate you and keep you accountable. Everyday, I will post in the group and you will check in and let us know how your day went – what you ate, how your workout went, whether you worked out at all… having a group keeps you accountable to your goals and there is a whole group waiting to hear from you, support, motivate, and encourage you. You are not in this alone and we will not let you fail! If you are interested in joining my next challenge group, fill out the application below – The next group starts on February 10 and will be an exclusive test group for our brand new program, the 21 Day Fix. 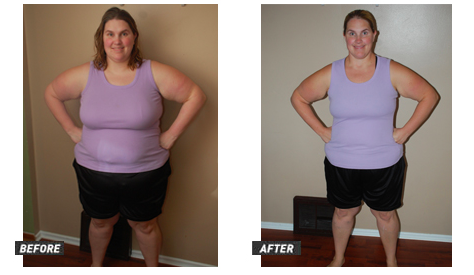 You can read more about the 21 Day Fix here. This is one of my favorite recipes from week 1 of the Ultimate Reset… and luckily for me, with just a few modifications, it fits in perfectly with the container system for the 21 Day Fix! It’s super easy and quick to make, but also super healthy and extremely flavorful! If you like Mexican food, this is a great healthy substitute. While rice is cooking, heat beans gently in saucepan until very hot. Drain and return to pan. Add oil, spices, aminos, and salt. Stir well. 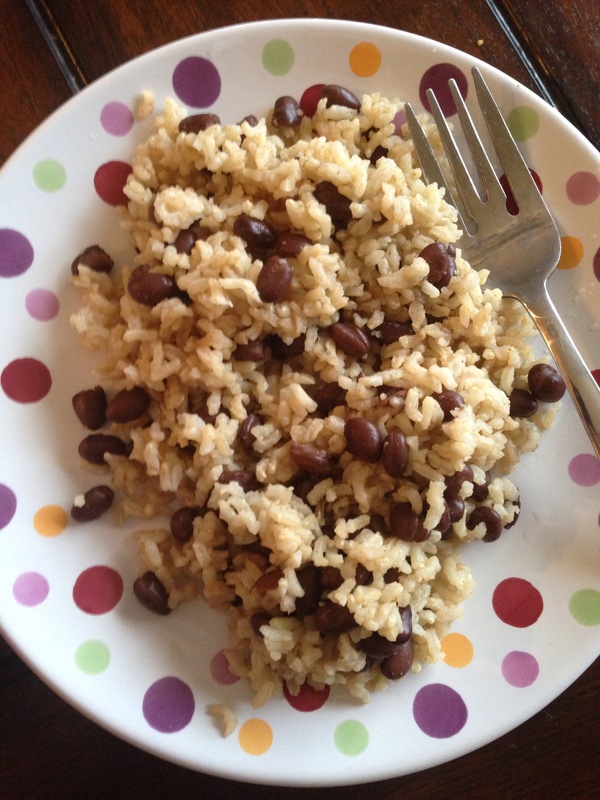 Gently fold rice into cooked beans. Brown rice takes about 45 minutes to cook, so I like to make up a batch in my rice cooker at the beginning of the week so I can have it ready to go during the busier week days. **Braggs Amino Acids is a great and healthy soy sauce alternative. In my house, we don’t buy soy sauce anymore and not even the pickest four year old complains about the taste of Braggs. You can get it at any health food store or on Amazon here. Braggs also has a great line of other products that would be “free” foods during the 21 Day Fix, like organic apple cider vinegar and organic sprinkle all purpose seasoning. Just mix up the first three ingredients and pour on to a hot griddle. If I’m feeling like a nice mom and we happen to have any in the house, sometimes I’ll sprinkle chocolate chips over the top. Once the first side has browned, flip to other side. Let that side brown, then enjoy! A hot healthy breakfast in minutes! Okay, I can’t be the only one who does this. As soon as I found out I had cancer, I was scared. 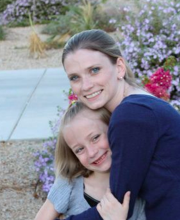 I was scared that I wouldn’t be there to raise my kids. I was scared that my two boys wouldn’t remember who I was. I was scared that someone else would help my daughter get ready for her wedding or be the one to hold my grandchildren. If something happened to me, I wanted to make sure that I went out with a bang. I wanted to create memories that even if the boys didn’t remember, they could at least look back at the pictures and think of me. I wanted to take my daughter to her first concert, even through she was only eight because what if I wasn’t there to do it when she turned fifteen. I wanted to take my son to meet his favorite person in the world, Mickey Mouse. I wanted to dress up like The Incredibles for Halloween because we had the perfect family for it and what if I wasn’t there next year to do it with them? I wanted to create the biggest, best birthday parties my kids had ever had because what if it was the last one I had with them? I wanted to be there to see them do everything. And so I overdid it. Really, in just one short month, before I even started my chemotherapy, I packed it in. I took Madison to her first concert, Taylor Swift. It was a surprise for her eighth birthday. We got makeovers and sang along at the top of our lungs. 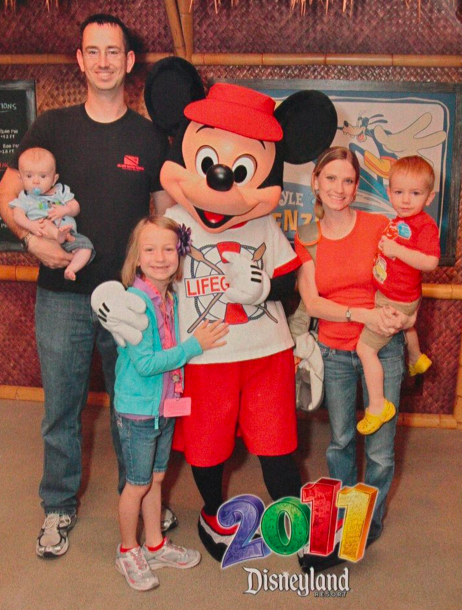 The whole family got in the car and drove to Disneyland so Mason could meet Mickey Mouse and have one last family vacation before starting what we expected to be a miserable six months. We didn’t dress up like the Incredibles that year. I ordered the costumes but the sizes didn’t match up… it just wasn’t meant to be in that time. But the costumes were bought and I let my husband know that they needed to be the Incredibles the next year if I wasn’t around. But I was. And we were. I had the BEST birthday parties ever. 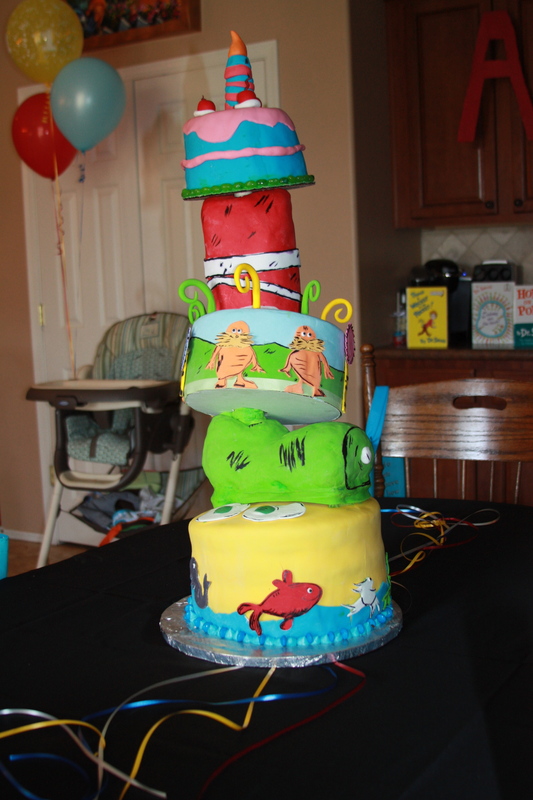 And I had always been a little extreme with cakes, but this year, I went over the edge. I set the standard high – I’m going to have to dial it back in over the next few years. And do you know what positive thing came out of this? We lived. People always ask “What would you do if you knew this was your last day?” We lived like these were my last days. We created memories. And the experience taught me to appreciate life, to not take any time for granted, to not think that one day we’ll get around to it, to do it now before it’s too late. Each day is a gift. Unwrap it. And then go ahead and make the most of it. Sometimes, my healthy ideas go over really well… and sometimes they don’t! 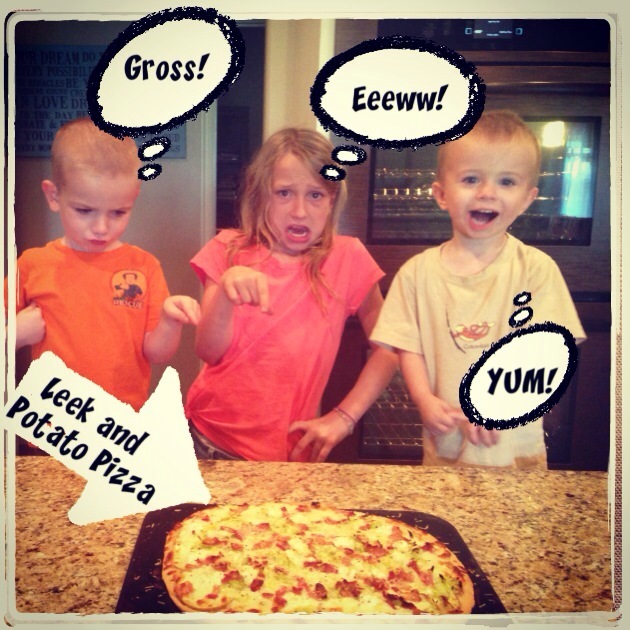 This recipe was a hit with me and my littlest, but the older two weren’t brave enough to try it. I modified this recipe from one in my Pioneer Woman Cookbook. I had been wanting to try it for quite some time and then one night, I just happened to have all the ingredients laying around… things like that just don’t happen for no reason!! So here it is (a little modified…). Give it a try, you may be surprised! Prepare the crust: Sprinkle yeast over 1 1/2 cups warm water. In a mixer, combine flour and salt. With the mixer running on low speed (with paddle attachment), add in olive oil until combined with flour. Next, pour in yeast/water mixture and mix until just combined. Form the dough into a ball. Toss dough to coat in olive oil, then cover the bowl and allow to rise for 1-2 hours. Once it has risen, stretch the dough to the desired shape, the thinner the better. Prepare the toppings: Brown the bacon in a skillet. You want it to be cooked but not crisp. Remove it from the pan and pour off most of the grease. Don’t clean the skillet and return it to the stove top. Add the leeks to the pan and saute it over medium low heat until soft. Remove and set aside. Slice the potatoes very thin. Make the pizza: Arrange the potatoes in a single layer over the crust. Sprinkle lightly with salt, then lay mozzarella slices over the potatoes, then the leeks on top of the cheese. Finish by sprinkling the bacon, goat cheese and fresh black pepper over the top. Bake until the edges are golden brown and the cheese is bubbly – enjoy! !